The village has many resources available to help you, the developer, to aid in the consideration of properties in the village and the growth of your business. 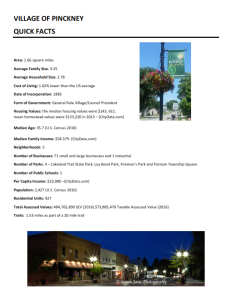 If you have any specific questions, please contact the Village Clerk or the Zoning Administrator at 734 -878-6206 or by clicking on the email links to the right. or download the file here. Evaluate our Site Plan Review process here! 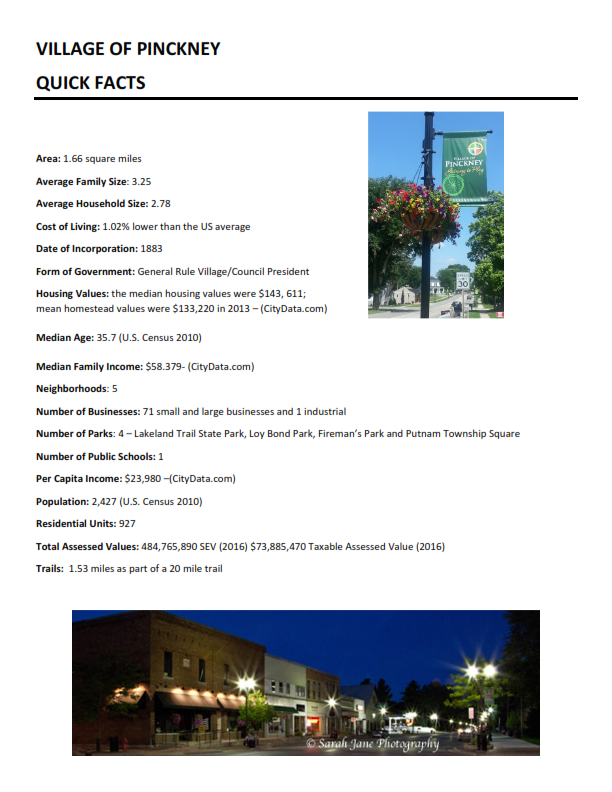 The Village of Pinckney works collaboratively with Ann Arbor Spark, through the Livingston County EDC, to prepare the village for future opportunities and to guide potential developers to the Pinckney area. The Livingston County EDC and Spark can both be reached through their online portals. Additional resource information is available on both of their sites. Livingston County Planning provides much needed Economic Development research and profiles. See samples below. 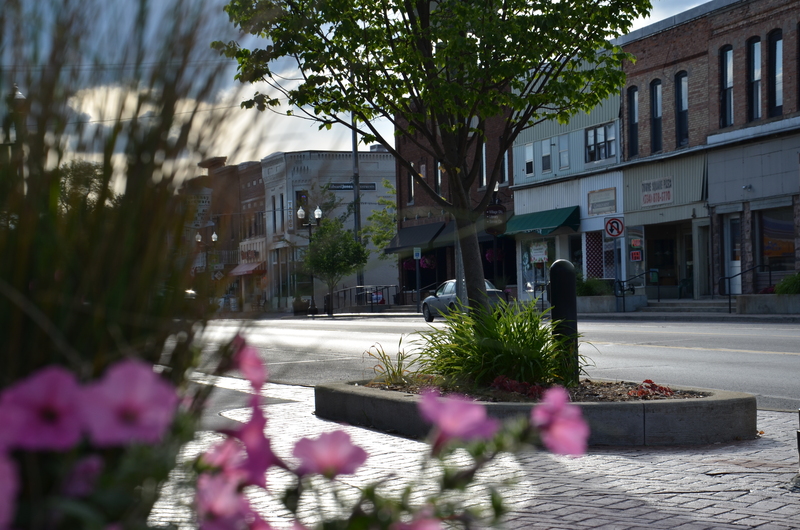 The Michigan Economic Development Corporation (MEDC) works with local municipalities to provide support in redevelopment and job growth in an effort to attract and retain talent in Michigan. The MEDC supports numerous programs to benefit this growth. Multiple programs can be found here.